Reason I choose it: I saw this at the library but never borrowed it at the time so when I saw it on Amazon I decided I wanted to read it. Kate and Signe had 2 gorgeous little boys Reef and Finn. Reef was a healthy little baby but things suddenly turned for the worse when he became ill. At first doctors didn't know what was wrong with him, mum had a battle on her hands trying to convince doctors that something wasn't right and then eventually they found a doctor who discovered he had a very rare cancer around his pelvis area. There were lots of we aren't sure if he'll live, walk etc... but Reef beat the odds by first staying alive and then by getting up and walking. In the midst of his illness Kate had found out she was pregnant and gave birth to Finn at 7 months! 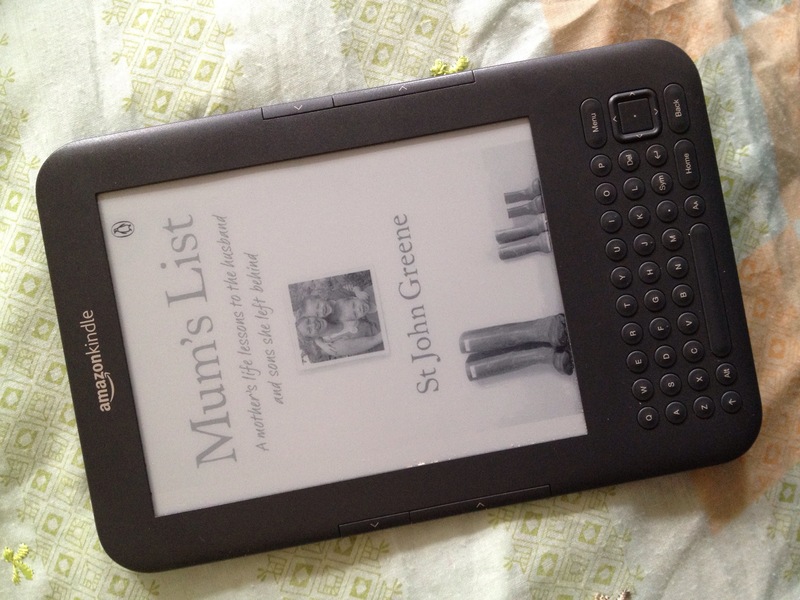 They thought the worst of it was over, only one day Kate discovered a lump in her breasts and that resulted in her creating mum's list where if the worst happened she wanted her husband to have something to pull him through the days but also to leave a small piece of herself behind. I am in 2 minds about this book. First it is a book that really gets you thinking about your life and how you need to attempt to fulfil your dreams as you don't know what's around the corner. The Journey of Signe with his boys was really sweet. On the other hand it is very repetitive of Kate's list, it would have been better to have had the list printed at the beginning and mentioned as Signe completed things or considered doing something... instead he started with one and listed about 5 in one go. Then it also felt like he was just trying to get in to the public eye all the time with a big party, this lists, his son's cancer etc... and then dropping names of things he was working on. I actually got to the point then where I only read it to complete the book to see how things worked out but didn't care so much about the people anymore.